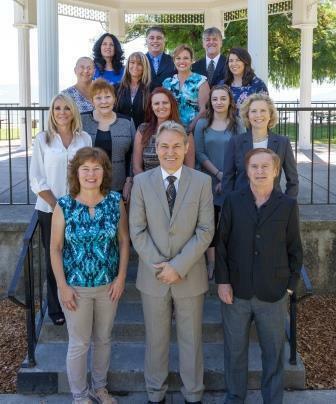 Lake County's Leading Real Estate Team covering the whole of the County including Cobb, Middletown & Hidden Valley Lake, Clearlake Riviera, Jago Bay, Riviera West, Buckingham & Riviera Heights, Kelseyville, Lakeport, Lower Lake, Clearlake Oaks, Nice, Lucerne and Upper Lake, as well as lakefront, ranches and acreage properties. We also have an office in Cloverdale serving Sonoma County. Timothy has more than 32 years experience successfully selling real estate both in California and the US, as well as in his native land of New Zealand. He has assembled a powerful team of experienced Realtors, operating on specific professional principles, with full marketing and administrative assistance to ensure that you have a successful real estate experience. Timothy is both a high individual producer, having closed as many as 130 transactions in a year, including selling more properties than any other Realtor in the County from 2004 to the present, as well as a skillful sales manager & trainer. Timothy and Team Toye have extensive management, real estate investment and marketing experience, including selling property by auction. They are commonly the most productive real estate team in Lake County, often selling more buyers than any other sales team, including those much larger. Team Toye have invested personally in real estate extensively in many different kinds of property including single family homes, fixer-uppers, apartment buildings and raw land. They have bought several properties 'creatively' with no money down, including holding these properties as managed investments, or resold for capital gain. Team Toye, the leading real estate sales team in Lake County, now in Sonoma County, brings a combination of personal skills, in-depth experience, and positive principles of professional practice to ensure your real estate experience is as positive and beneficial for you as possible.We do it the right way.